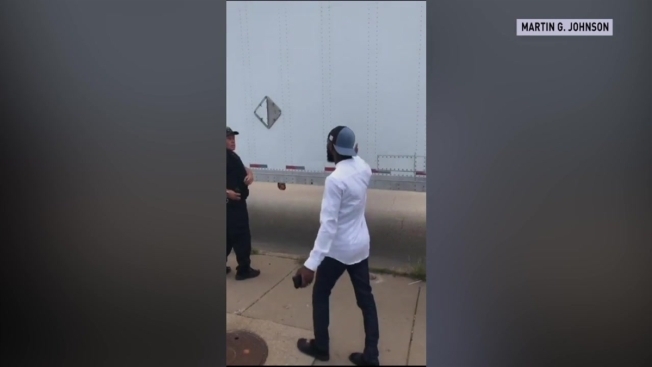 A Chicago rapper’s foundation will be giving away thousands of shoes in a low-income South Side neighborhood where a recent sting using “bait trucks” to lure potential shoe thieves faced criticism from civil rights activists and local officials. Rapper Vic Mensa’s SaveMoneySaveLife foundation will give away shoes Sunday in the Englewood neighborhood, the Chicago Sun-Times reported. The event comes after residents filmed police arresting a man and accused officers of trying to entrap poor residents. Norfolk Southern Railroad organized the sting with assistance from the Chicago Police Department. The effort was aimed at combatting thefts from nearby rail yards. The railroad company has since apologized, and prosecutors dropped charges against three people arrested during the sting. Sunday’s event will include multiple “anti-bait trucks” with gym shoes from brands, including Puma, Adidas, Nike and Converse, for everyone from toddlers to adults, said foundation co-founder Laundi Keepseagle. Keepseagle said large donations were made from as far as Germany, China and Australia by multiple athletes and musicians who asked to remain anonymous. The event will also feature barbers and stylists offering free haircuts, as well as performances and food trucks. Mensa and Chance the Rapper will be in attendance.